10+ Semi Loads of New Tools, Irwin, DeWalt, Milwaukee, Makita Tools, Traps, Knives & Collectibles W/Online Bidding! We are excited to invite everyone out to help us celebrate our 30th year in the auction business. We are anticipating our largest sale to date. 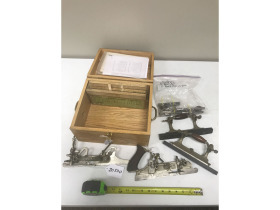 This is an event you will not want to miss with an auctioneers round-up/showcase on Friday night lots of doors prizes and other 30th Anniversary Air Works Auction Memorabilia for attendees. 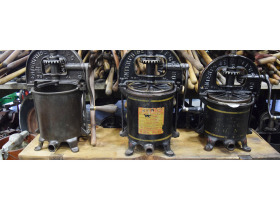 Ring 2, February 14 | 9:00 A.M.,| 600+ Cataloged Tools & Collectibles W/Online Bidding! 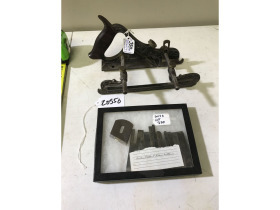 This will be a one owner collection from Atlee Hochstetler after many years of collecting and dealing in antique tools and collectibles he has decided to liquidate his collection featuring a good selection of collector and user tools and many farm primitives. 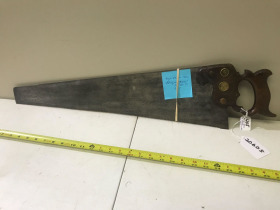 Stlyard Scales, embossed hatchets and axes, 2 girl scout and 10 boy scout hatchets, black raven axe head, lots of Stanley Tools including a #77 dowel turning machine w/8 cutters, Stanley buggy wheel nut setter, Stanley Planes include a #1, 2C, 54, 55, millers patent 41, 43 and many others. Woodrough & McParlin Panther Handsaw, many rules including a milk can rule, William Greenleaf wheel log caliber, 1800s Cincinnati marked molding planes, uncommon hammers, breast drills, hand braces, and bit sets, ice harvesting tools, variety of Winchester and Keen Kutter tools, vintage logging boots, lobster trap, 50’ rive net, some farm toys and more. 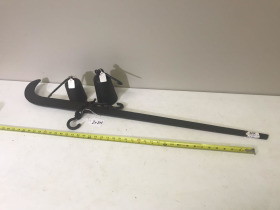 Ring 3 / Thursday, February 14 | 12:00 Noon, | Cataloged Tools, Traps, Knives & Collectibles W/Online Bidding! This ring will feature two sessions. Session 1: features a one owner collection of very clean high end antique tools & collectibles. Peter Wright 144 lb. 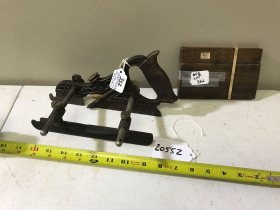 Anvil; Stanley #43 Miller’s Patent (RARE); 19th Century Rosewood Stuffed Joiner Plane; Stanley #77 Dowell Machine w/½” Cutter; Stanley #10 1/2C (RARE); Stanley #55 Combination Plane; Salesman Sample Post Hole Digger; 4: White Slick Chisel; 5” Brass Turnip Plumb Bob; Book Press. 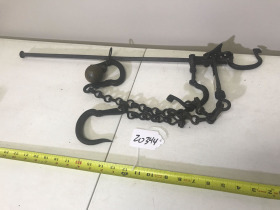 Bid Online *Session 2* Traps, Knives, artifacts, etc Approximately 2:00 P.M.
uncatalogued session will feature approx. 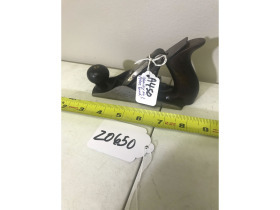 1000 lots Antiques, Collectibles & Primitives including Antique Tools, Books, Blacksmith Items, Anvils, Butcher Items, Railroad Items, Primitives, Hay Trolleys, Agriculture Related Items. It is hard to tell what all will show up in this ring since it features most of our late arrival antiques. Note: This sale will feature a wide variety of antiques & collectibles including several complete liquidations of long time private collectors. 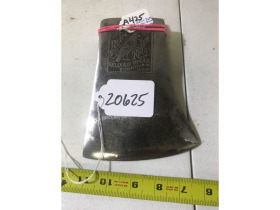 For a complete listing and catalog Go to our website at www.AirWorksAuction.com or find us on AuctionZip.com (auctioneer ID 40052) for updates and online catalogs. 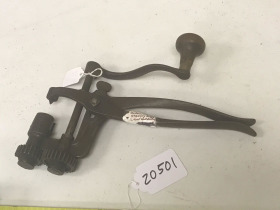 If you would like a physical copy of the Blacksmithing Catalog, Antique Tool and Book catalogs, please send $10 with your request to the Air Works Consignment Auction; (Antique Division) P.O. Box 242, Kidron, OH 44636. Tue. & Wed. February 12th & 13th from 8 A.M. to 4 P.M.
Thursday 8:00 AM to 12:00 by Appointment Only. Auction Terms: Cash, Check or Credit Card w/valid ID. There will be a 5% buyer's premium on-site with an additional 3% for all credit card purchases. Different terms for Online bidding will apply.  All items are sold “as is, where is with no warranty expressed or implied." Sales tax does apply unless exempt. All purchases made at the Air Works Consignment Auction are on an "as is, where is" basis. According to the Terms of Bidding agreed to by all Bidders, all sales are final and no sale shall be invalidated. There are no returns or refunds and credit payments cannot be reversed. Buyers are encouraged to inspect items before bidding on them.  All items are to be removed from premises by purchaser. Check Out & Loading: Buyer’s will need to have a paid receipt to enter auction area and before loading. Assistance for loading is available on sale day plus the following week Monday through Wednesday from 8:00 AM to 4:00 PM. NOTE: The Auction reserves the right to sell or dispose of items left on the premises 7 days after the sale. Send a copy of your paid receipt with your hauler. The lot is closed on Sunday. Items left on the lot 7 days after the sale will be resold or disposed of. It is our goal that your auction experience is a pleasant one. Your understanding and compliance with the above terms will help accomplish this goal.